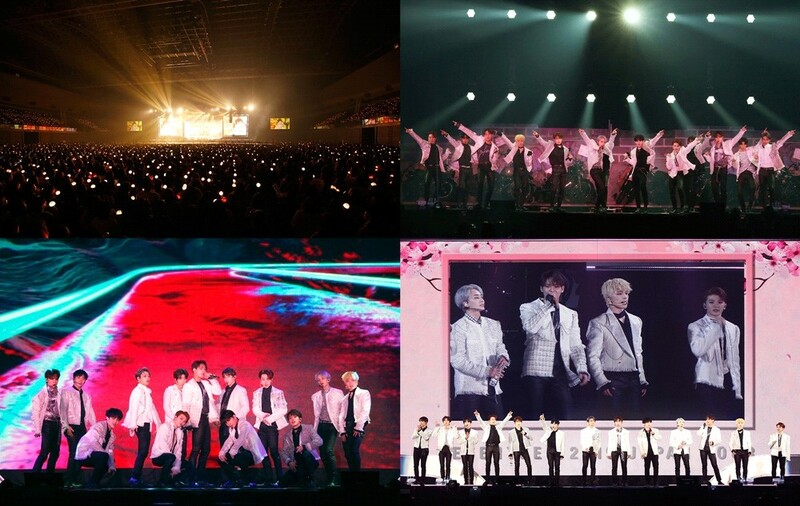 SEVENTEEN, the concert of Fukuoka Marine Metse, mesmerized 30,000 viewers. Group SEVENTEEN 2019 JAPAN TOUR 'HARU' marked the successful start as the group Seventeen wrapped up their first concert in Fukuoka on the Japanese tour. A popular group SEVENTEEN is expanding globally beyond Korea, successfully finished the Japanese tour "SEVENTEEN 2019 JAPAN TOUR "HARU" for a month starting with the Fukuoka Marine Metse concert on April 2, and will meet fans through concerts and fan meetings with 16 concerts in five cities. At the Fukuoka Marine Metse Concert, the first performance of the two-day tour, which took place between April 2 to April 3, SEVENTEEN drew a total of 30,000 viewers, giving them a fantastic and perfect performance as well as breathing and enjoying it with fans for about three hours. Especially, the "SEVENTEEN 2019 JAPAN TOUR "HARU" tour, which is underway, will give fans more speciality with their beautiful stage configuration under the theme of "HARU," and concert tickets have already been revealed to have sold out all round, drawing much attention in Japan as well. SEVENTEEN is showing great performances in Japan beyond Korea, is scheduled to release their first single, "Happy Ending," on May 29, and expectations are growing even higher as it includes original Japanese songs. As they have achieved great records and achievements in the album category of the 2018 Oricon's annual Indies with their debut mini album "WE MAKE YOU" in May last year, the "Gold Disc Recognition" gold by the Japan Record Association, and the winning of two gold-disc awards, attention is being paid to the global growth they will show. SEVENTEEN 2019 JAPAN TOUR 'HARU' is currently in full swing.